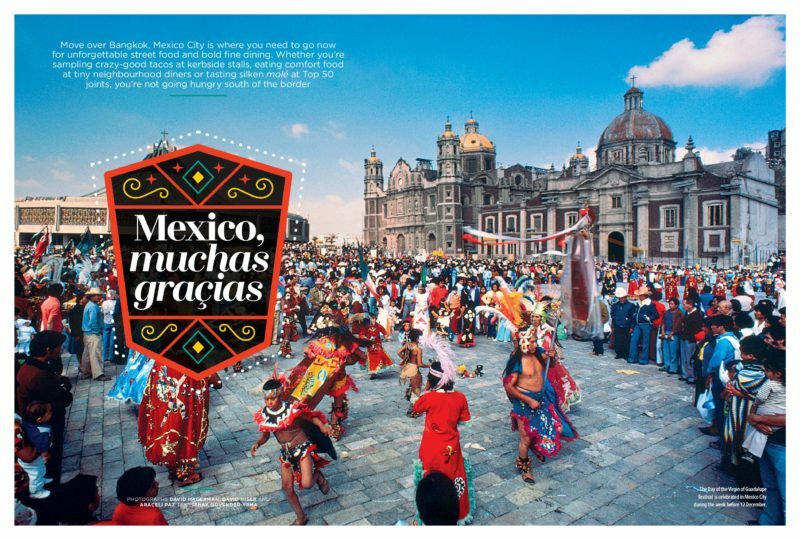 Mexico City – colourful, chaotic, and a crash-course in street-food, as Ishay Govender-Ypma learns, tasting her way through markets and curb-side stalls. Fine dining your north star? Check! But you’ll soon be drawn back to the abuela-style dishes found in the simple diners and homes around town. 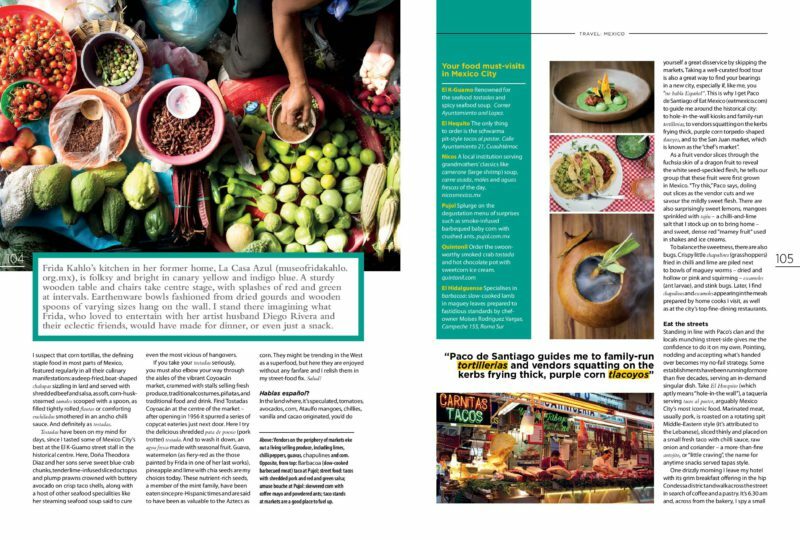 My Mexico City Food Guide For Taste Magazine, July 2016. Images by David Hagerman & supplied. Images on this post are mine. 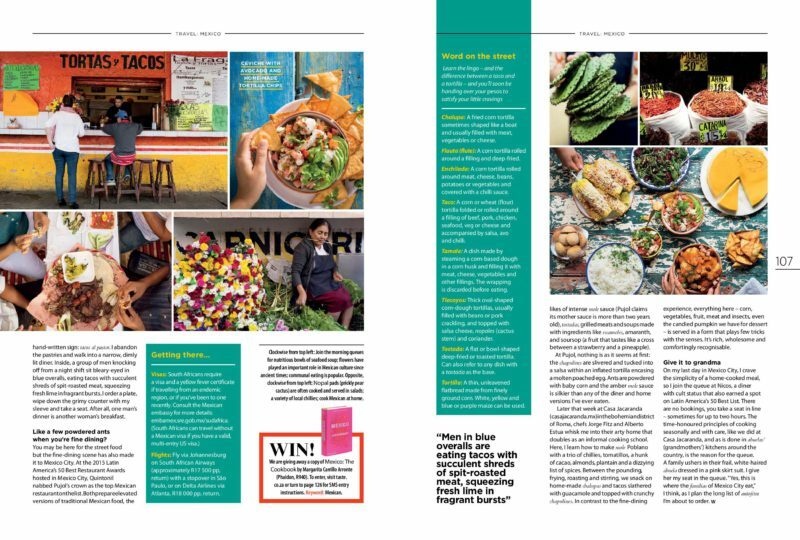 As we elbow through the crammed aisles of the Coyoacán food market, I scan the row of tostada vendors serving those crisp-as-poppadum tacos topped with ceviche-style seafood, raw onions, coriander and zingy lime. 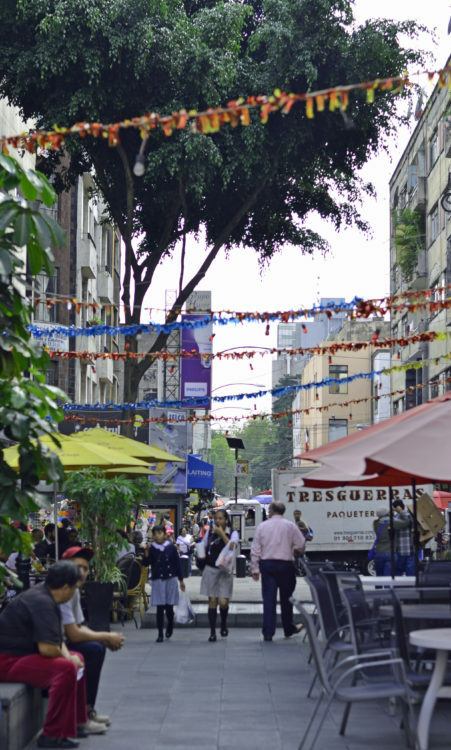 The Coyoacán market isn’t far from Casa Azul, the blue house where Frida Kahlo was born and lived a difficult and tumultuous life, until her untimely death in 1954. Now a museum that fires the imagination of inquisitive Nancy Drews, like myself, I pause at her kitchen left as it would have been in her heyday – folksy and bright in canary yellow and indigo blue. A sturdy wooden table and chairs take centre stage, dots of red and green drawing the eye, earthenware and floral bowls fashioned from dried gourds, wooden spoons of varying sizes hanging on the wall. I wonder what Frida, who loved to cook and entertain with her then more-famous artist husband Diego Rivera and their eclectic blend of artist and intelligentsia friends, would have made for dinner or a snack. I imagine that maize tortillas, the defining staple food around most parts of Mexico, and all its culinary manifestations would have featured for some meals – as deep-fried boat-shaped chalupas sizzling in lard and served with shredded beef and salsa, as soft, cornhusk-steamed tamales you scoop with a spoon, as filled tightly rolled flautas or comforting enchiladas smothered in an ancho chilli sauce. And, tostadas. 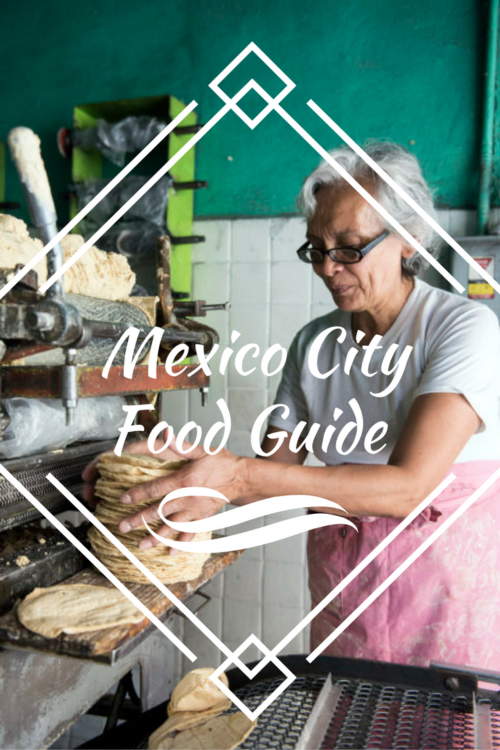 Tostadas have been on my mind for days, since getting a taste of some of the best (according to food authorities, like guide Paco de Santiago of Eat Mexico), at the El K-Guamo stand in the historical centre of the city. Doña Theodora Diaz and her sons serve sweet blue crab chunks, tender lime-infused sliced octopus and plump prawns crowned with buttery avocado on the brittle taco shell, along with a host of other seafood specialities like her steaming seafood soup said to cure the most vicious of hangovers. At Tostada Coyoacán located at the centre of the market, which opened in 1956 and spurred a series of copycat eateries just next door, I try the shredded pork trotter (pata de puerco) tostada. And to wash it all down, a refreshing aqua fresca made with in-season fruit. Guava, watermelon (as fiery-red as the those painted by Frida in one of her last works), pineapple and lime with chia seeds are my choices today. I learn that chia seeds, a member of the mint family, have been eaten since pre-Hispanic times and continue to be consumed without fanfare. To the Aztecs, chia is said to have been as valuable as maize. 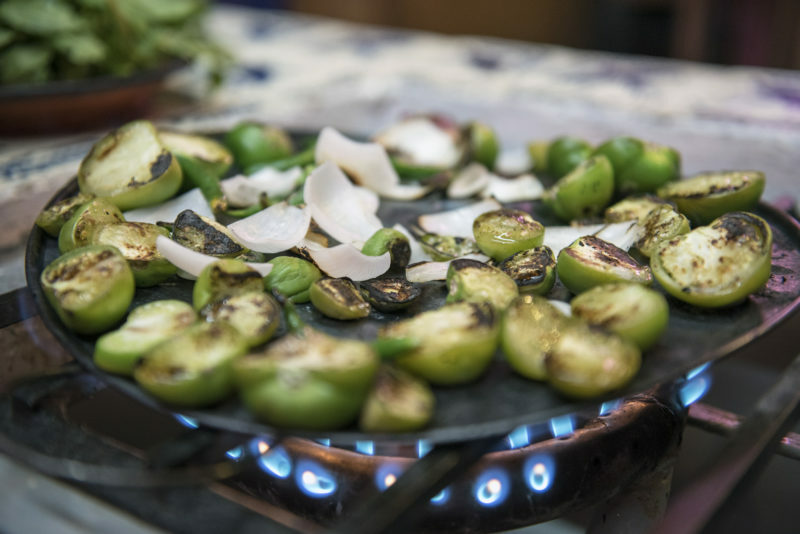 To me, I rationalise, I can have my street food fix – the main reason any food traveller comes to Mexico, and a touch of chichi western food trend with my drink. Salud! Taking a well-curated food tour is useful to establish your bearings in a city, especially if it’s unfamiliar and you don’t speak the native tongue. 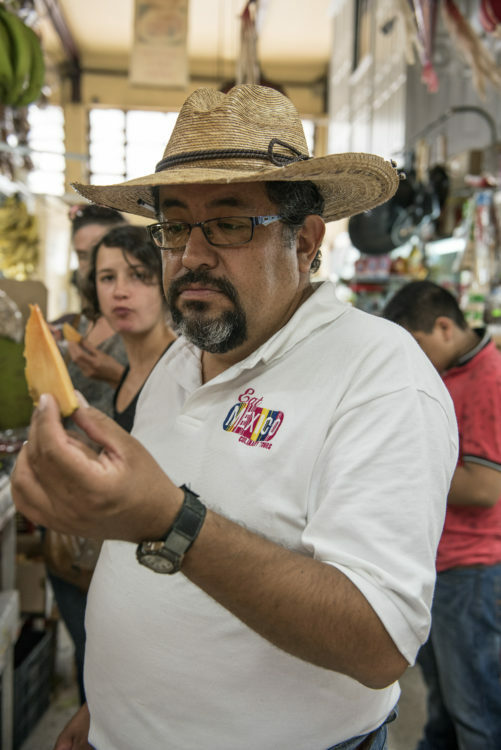 Paco marched “mi no habla Español” and a group of four around the historical part of the city to hole-in-wall kiosks and family-run tortillerias, to vendors squatting on the curbs, frying thick purple maize torpedo-shaped tlacoyos, and the San Juan market, known as the “chef’s market”. In the land where tomatoes, avocados, maize, ataulfo mangoes, chillies, vanilla and cacao, it’s speculated, originate, you’d do yourself a disservice to skip over the markets. A fruit vendor reminds us that dragon fruit were first grown in Mexico, as he slices the fuchsia skin to reveal the white seed-speckled flesh. “Try this,” Paco says, doling out slices as the vendor cuts. 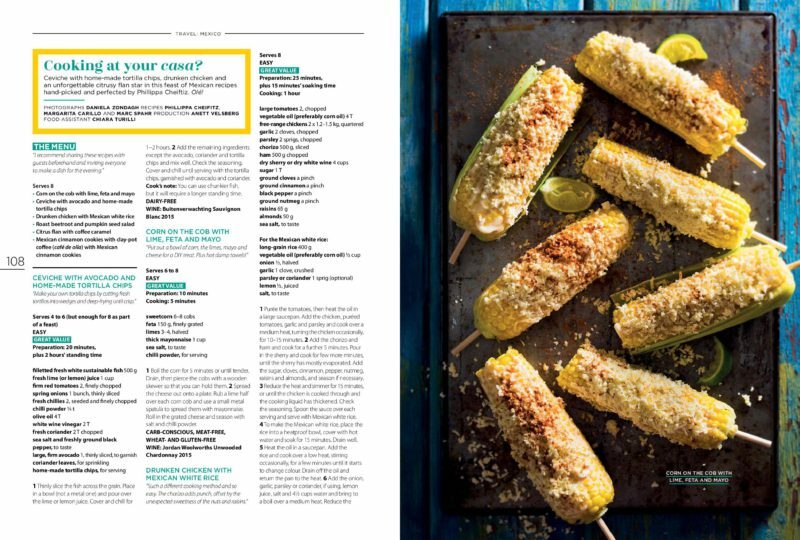 Deceptively sweet lemons, orange-flesh mangoes with a mouth feel of cocoa butter, sprinkled with Tajín – a chilli and lime salt that I bring bottles of home, and sweet, dense red mamey used in shakes and ice creams. To balance the sweet, there are bugs, of course. 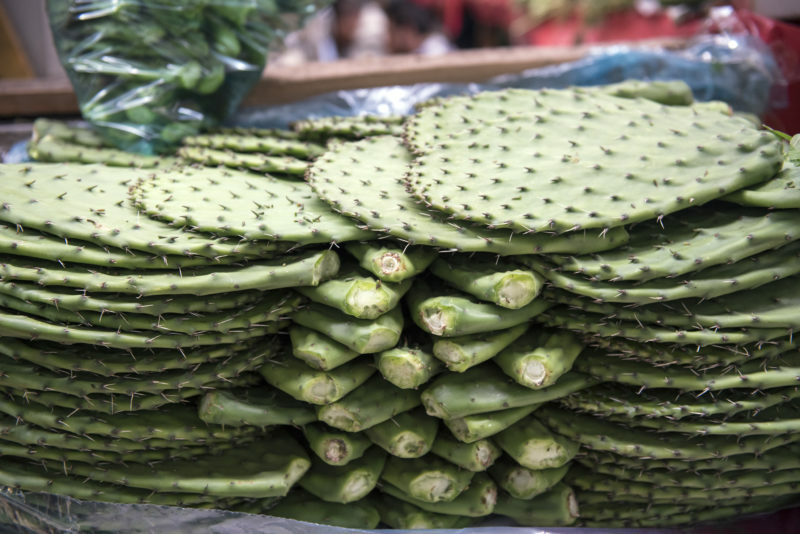 Eaten since pre-historic times, insects are now considered a luxury in Mexico, and sold in small quantities. Crispy little chapulines (grasshoppers) fried in chilli and lime are piled next to bowls of maguey worms – dried and hollow or pink and squirming, escamoles (ant larva), and stink bugs, which do exactly that: stink. 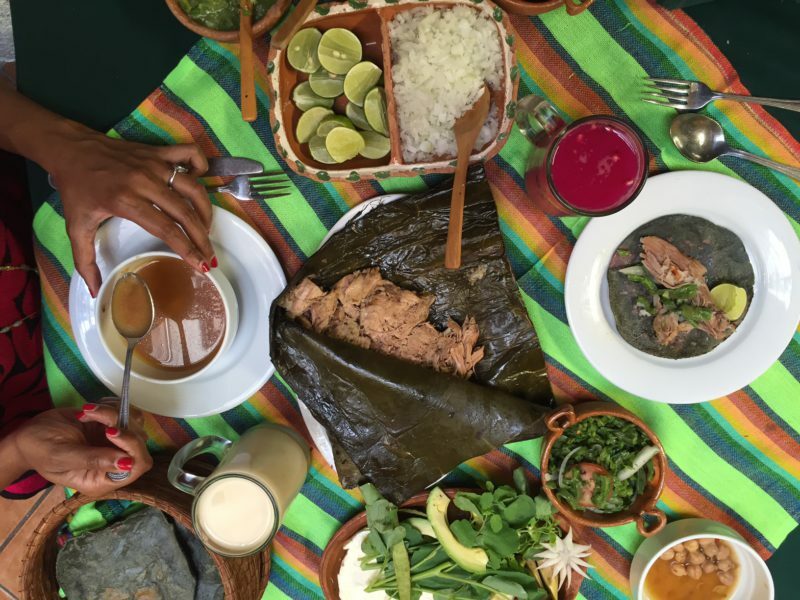 Later, I find chapulines and escamoles appearing in the meals prepared by home cooks I visit as well as the city’s top fine dining restaurants. Getting in line with Paco’s clan and the locals, munching street-side gives me the confidence to spend the next few weeks doing the same. Pointing and nodding and accepting what’s handed while parting with a few pesos becomes my no-fail strategy. Some establishments have been running for more than five decades, serving an in-demand singular dish. 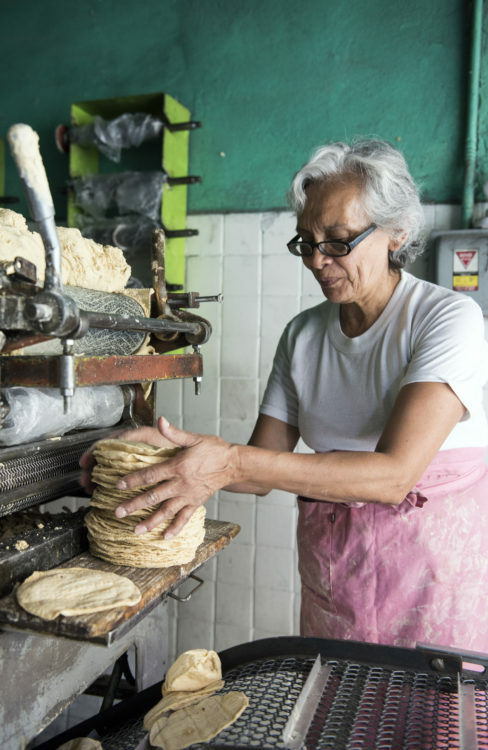 Take Tostada Coyoacán, and El Huequito (which aptly means “hole-in-the wall”), a taqueria serving tacos al Pastor, arguably Mexico City’s most iconic food. 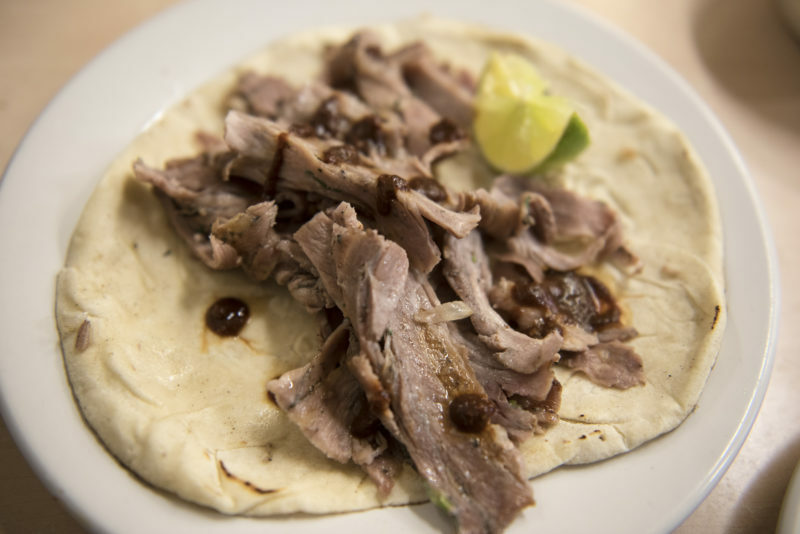 Marinated meat, usually pork, is roasted on a rotating spit, Middle Eastern style – it’s attributed to the Lebanese – thinly sliced and placed on a small fresh taco with chilli sauce, raw onion and coriander. Served in a portion of three of four, tacos al Pastor make for a fine antojito, or “little craving”, the name for anytime snacks served tapas style. One drizzly morning I leave my hotel with its grim breakfast offering in the hip Condessa district, and walk across the street in search of coffee and a pastry. It’s 6 30am and across from the bakery, I spy a small hand-written sign across the road: Tacos al Pastor. I abandon the pastries and walk into a dimly lit narrow diner that barely accommodates two skinny teens standing abreast. Inside, a group of men knocking off from a night shift sit groggy eyed in blue overalls, eating tacos with succulent shreds of spit-roasted meat, squeezing fresh lime that disperses in fragrant bursts. I order a plate, wipe down the grimy counter with my sleeve and a take a seat. After all, one man’s dinner is another woman’s breakfast. While the street food and beloved diners are Mexico City’s culinary shrines, the fine dining scene has come sharply in focus of late. At the 2015 Latin America’s 50 Best Restaurant Awards, hosted in the city after two consecutive years in Lima, Peru, Quintonil nabbed Pujol’s crown as the top Mexican restaurant on the list. 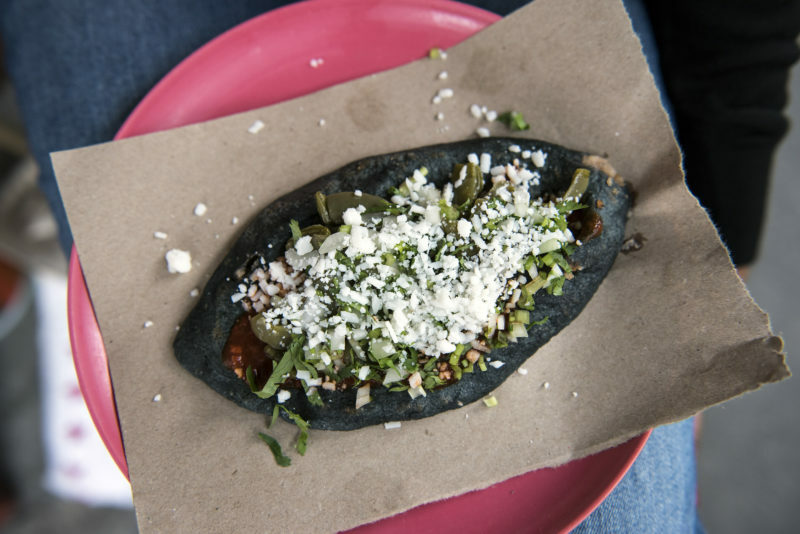 Both prepare elevated versions of traditional Mexican food like intense mole sauce (Pujol claims it’s mother sauce is more than two years old), tostadas, grilled meats and soups infused with traditional ingredients likes escamoles, chapulines, amaranth, maize, mamey and soursop. At Pujol, nothing is as it seems, at first– the chapulines are slivered and tucked into a salsa within an inflated tortilla encasing a molten poached egg, ants are powdered with baby corn, the amber mole sauce is silkier than any of the diner and home versions I’ve had. There’s high theatre and a stir in the restaurant as chef patron Enrique Olvera walks out to greet former food critic Ruth Reichl and her party at the table next to me. I spend the next 15 minutes trying to tweet Reichl a clever but detached message. 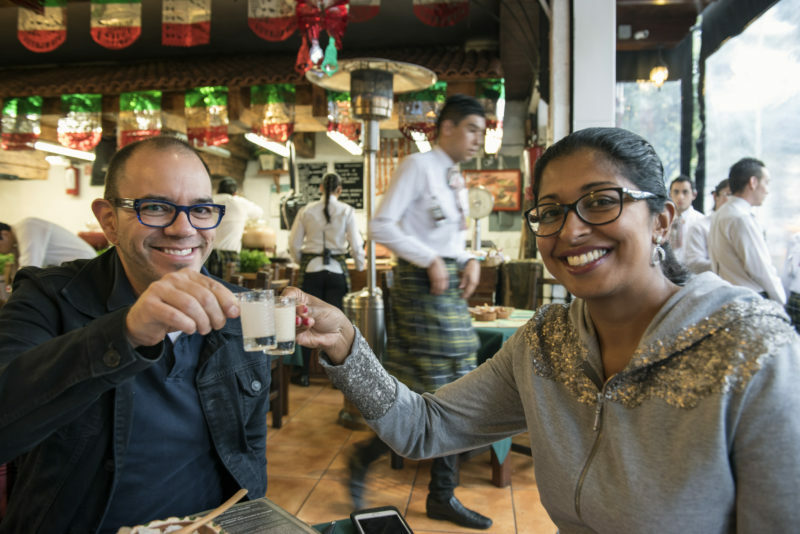 I give up and order a mescal instead – in Mexico, I’m allowed that much. Later that week at Casa Jacaranda in the bohemian district of Roma, chefs Jorge Fitz and Alberto Estua whisk me into their bright, arty home that doubles as an informal cooking school. 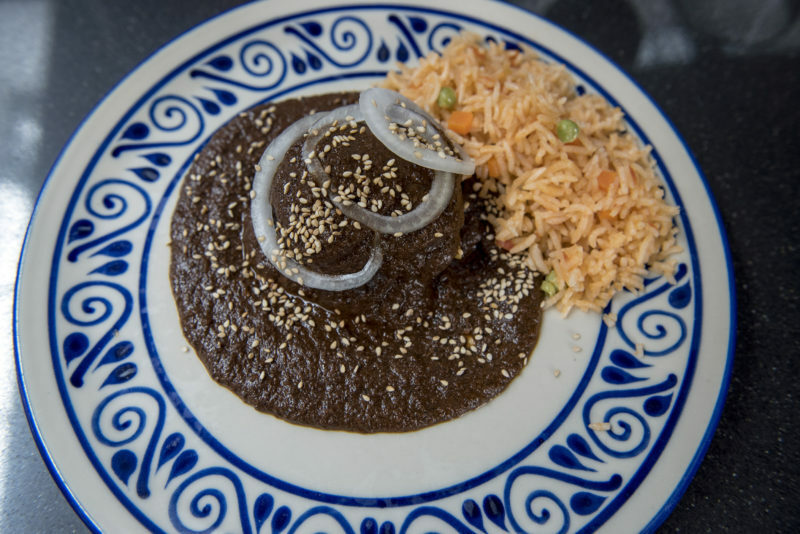 Here, I learn how to make mole Poblano with a trio of chillies, tomatillos, a hunk of cacao, almonds, plantain and a dizzying list of fragrant spices. Between the careful pounding, frying, roasting and stirring, we snack on homemade chalupas (“You’ve got to use lard, nothing else will do,” Jorge says.) and tacos slathered with lush guacamole (which I’m tasked with mixing by hand – there is no other way, the two insist), topped with crunchy chapulines. In direct contrast to the fine dining experience, everything here – maize, vegetable, fruit, meat and insects, even the candied pumpkin we have for dessert, is in a form that plays few tricks with the senses. It’s rich, wholesome and comfortingly recognisable. On the Uber ride back to Condessa, I reason it makes sense that the graduation from street food and home cooking in Mexico is the diner. 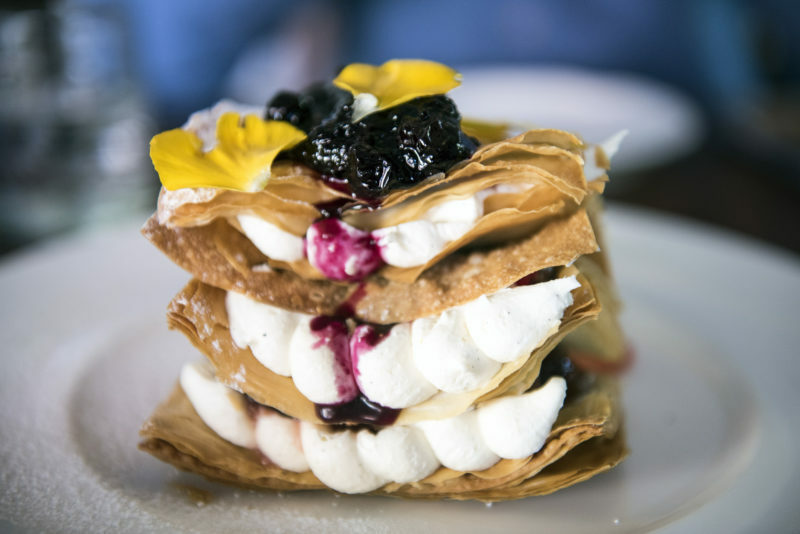 Take cult institution Nicos (no bookings, you take a seat in line) so fiercely loved by the locals, it earned a spot on the Latin America’s 50 Best List. 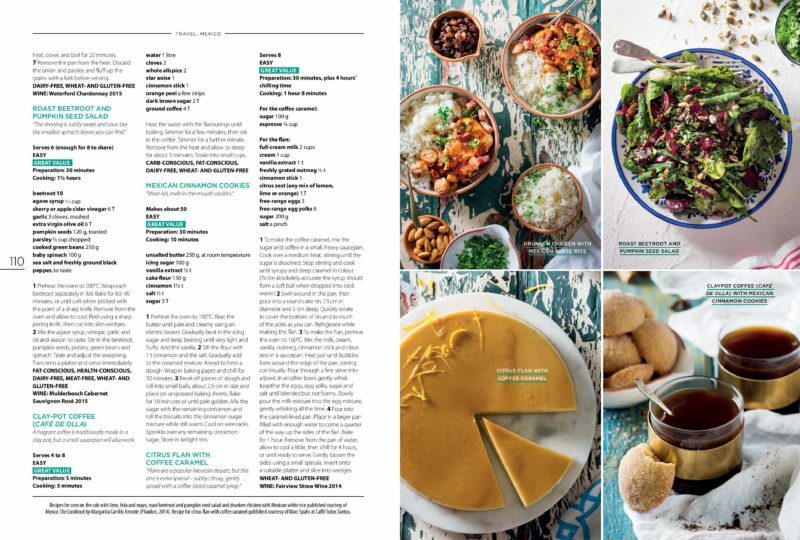 Here, the time-honoured principles of cooking in-season, and taking time with a dish, like we did at Casa Jacaranda, and as is done in abuelas’ (grandmothers’) kitchens around the country, is what patrons queue for, some for up to two hours. Craving the simplicity and generosity of a home-cooked meal on my last day in Mexico City, I join the queue at Nicos. A family ushers in their abuela dressed in a dusky pink skirt suit, feeble and white-haired. She takes my seat in the queue graciously. This is where the familia eats, I think, greedily planning the list of antojitos I’m about to order. Fly via Johannesburg on South African Airways (R17 500 pp, return) with a stopover in Sao Paulo or on Delta Airlines via Atlanta, R18 000 pp, return. 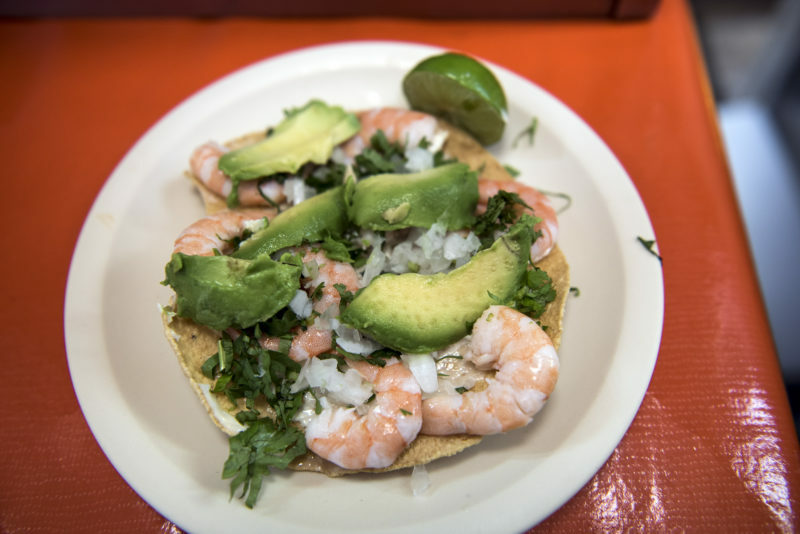 EL K-Guamo – This corner street stand with a few seats is renowned for the seafood tostadas and spicy seafood soup. Run by a mother and sons, it’s packed all day. El Hequito –The only thing to order is the shawarma pit-style tacos al Pastor at this quintessential chalingo (Mexico City) street food stop. Pujol – Splurge on the degustation menu of surprises like smoke-infused barbequed baby corn with crushed ants while you celeb-spot in this dark-walled, elegant restaurant. Quintonil – The highest ranked fine dining restaurant in Mexico welcomes families and serves a swoon-worthy smoked crab tostada and hot chocolate pot with sweetcorn ice cream. Nicos A member of the slow food movement, this local institution serving grandmother’s classics like camerone (large shrimp) soup, carne asada and an encyclopaedia of moles and aqua frescas of the day. Maximo Bistrot – A bright space that opens onto the street, it focuses on locally sourced produce and serves dishes like octopus ceviche with squid ink crisps and ripe beef tomatoes with shaved lobster. 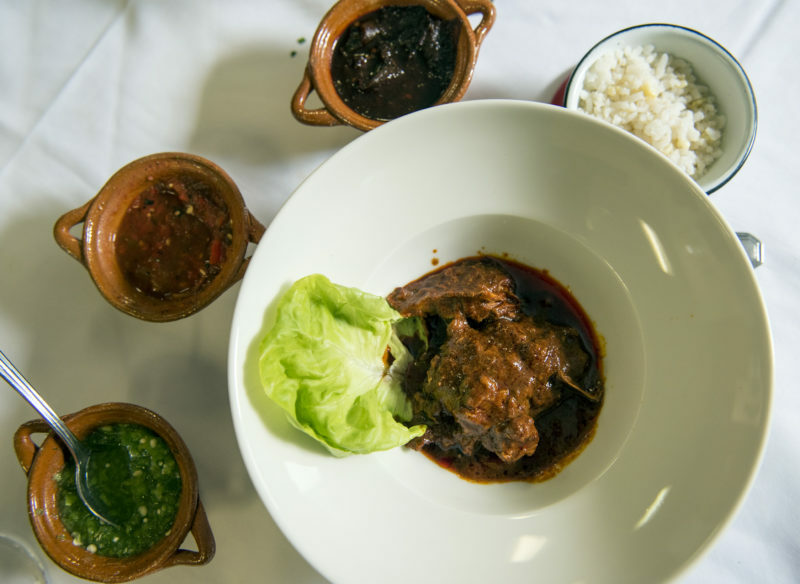 El Hidalguense – This colourful restaurant specialises in barbacoa -slow cooked lamb in maguey leaves, prepared to fastidious standards by chef-owner Moises Rodriguez Vargas from Hidalgo.